It is wise to keep your pets in a separate area of the house. All but the most social dogs and cats should be kept in a separate room during peak trick-or-treat visiting hours. Too many strangers in unusual garb can be scary and stressful for pets.Many animals become agitated at all of the "goblins" roaming the streets. Make sure all your pets are wearing current identification and take care when opening the door for trick-or-treaters that your dog or cat doesn't dart outside. To Report Animal Cruelty call 516-THE-SPCA, email crueltystoppers@ncspca.us or use our online form. 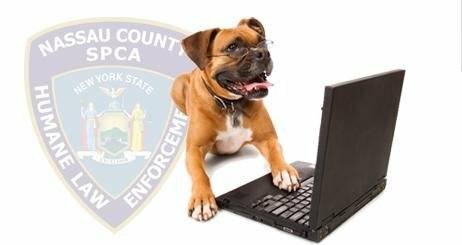 Subject: LongIsland.com - Your Name sent you Article details of "Halloween Tips for You and Your Pets from the Nassau County SPCA"